Starting on June 7th, FEMA will be conducting a large scale drill that has been named “Cascadia Rising” that will simulate the effects of a magnitude 9.0 earthquake along the Cascadia Subduction Zone and an accompanying west coast tsunami dozens of feet tall. According to the official flyer for the event, more than “50 counties, plus major cities, tribal nations, state and federal agencies, private sector businesses, and non-governmental organizations across three states – Washington, Oregon, and Idaho – will be participating”. In addition to “Cascadia Rising”, U.S. Northern Command will be holding five other exercises simultaneously. According to the final draft of the Cascadia Rising drill plan, those five exercises are entitled “Ardent Sentry 2016″, “Vigilant Guard”, “Special Focus Exercise”, “Turbo Challenge” and “Joint Logistics Over-The-Shore”. 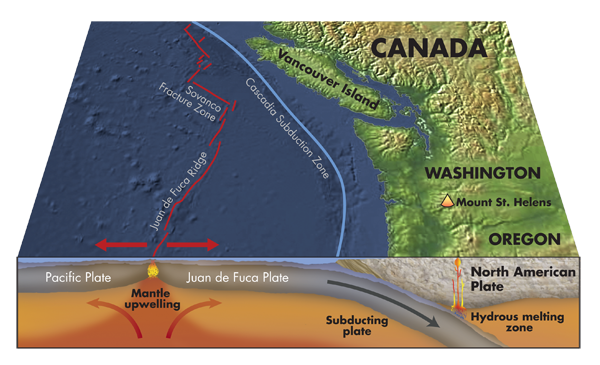 The primary scenario that of all of these participants will be focusing on will be one that involves a magnitude 9.0 earthquake along the Cascadia Subduction Zone followed by a giant tsunami that could displace up to a million people from northern California to southern Canada.